Arashiyama in Kyoto is an unique place. You can enjoy visiting historical landmarks and seeing beautiful mountains at the same time. Somehow it might feel like the time flows a little slowly in this area. Unfortunately some people don’t visit Arashiyama because of the accessibility. This post will solve that problem. Depending on the starting point, different methods are recommended. 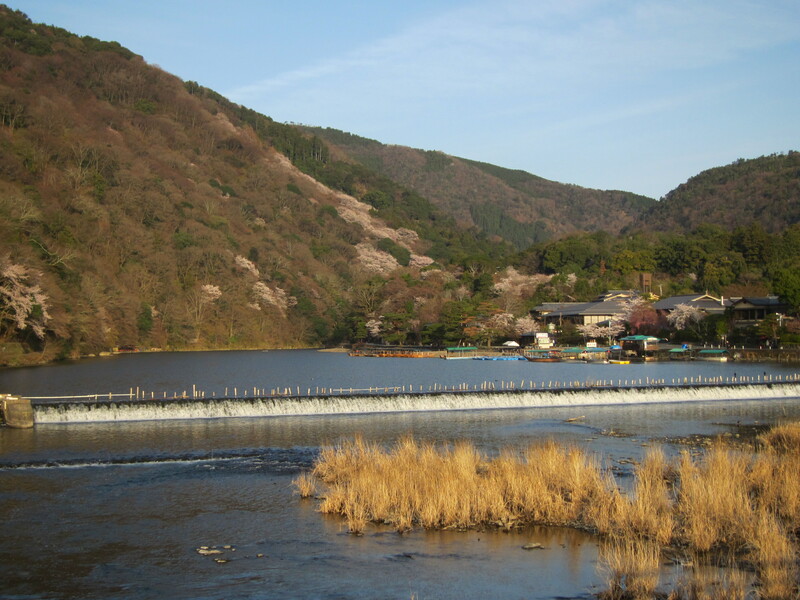 Since allocating one whole day for visiting Arashiyama is recommend, the following information is based on the assumption that you start from your hotel. Therefore two different scenarios are provided here: staying at hotel 1) around Kyoto station or 2) the central town area. Take the JR Sanin Honsen (Sagano) Line (platform 32/33 as of this writing) and get off at Saga Arashiyama station. It costs 230 yen and it takes less than 20 minutes. Take the Hankyu Line (at Kawaramachi, Karasuma or Shijyo Omiya station) and get off at Katsura station. Take the Arashiyama Line (also operated by Hankyu) and get off at the terminal, Arashiyama. It costs 220 yen and takes about 30 minutes if you get on at Kawaramachi station. Using the bus is not advised because it might take an hour or more if it is a busy season.